Blogger Buster: Learn the Basics of Blogger and Get Certified - For Free! Learn the Basics of Blogger and Get Certified - For Free! If you are just starting out with Blogger, Alison offers a useful free e-course which you may find useful. 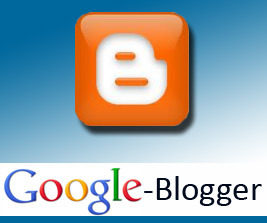 Upon completion of this course you will be able to create your own blog. You will know how to add dates, pictures, links, video and embedded video to your blog. You will understand how to preview and publish your blog. You will gain a good knowledge of the settings that allow you to edit your blog. Once you've passed the module, you can choose to purchase a PDF or parchment certificate, share your achievement with a badge or simply provide a link to verify your certification. Admittedly this is a basic course in using Blogger, though it would be very useful for those just starting out or as a refresher course for those who have not used Blogger in some time (the video tutorials provide insight into the new interface and template designer). Be sure to check it out and let us know your opinions of this free course in the comments below.